Mom’s Day is a great time to treat your mother something special that she would really like for this holiday. Find out her particular interests, such as eating in a fine restaurant, spa/facial treatments, or a wine tasting event that she might be eager to try out, so you’re sure to give her a special thing that she’ll truly appreciate. Give the best gift she could receive without any demands on her time. Then show interest that you’d like to spend Mother’s Day with her, do something that she’d love to do, and then make it happen. To give back to the most important woman in your life, you have to spoil your mother and give her a fabulous day out during Mother’s Day in Branson. If you really want to spoil your mom this year, why not treat her to a Mother’s Day brunch at Chateau on the Lake in Branson, MO. During the occasion, the executive chef of the restaurant will prepare a fabulous menu which your mother will surely love. In case your mother wants to relax, you can give her additional treat for a fantastic spa in the hotel. But if you really want her enjoy with utmost fun then you could book her in for some spa, facial treatments, pedicure and/or manicure. Beautifully located on the lake, the hotel is a lovely place to stay and due to its popularity, you need to book in advance. Just imagine after the brunch, you could both become so relaxed if you take a spa/facial treatments or take advantages of all the services that the hotel has to offer. There is no better way to treat your mom this special day to show how much you care for her by spending quality time with her. 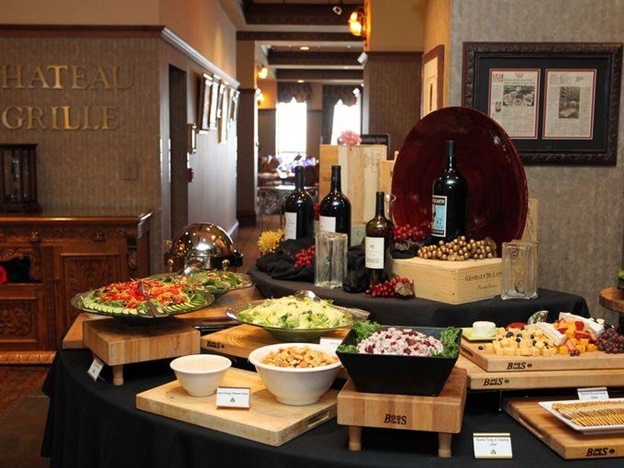 At Chateau on the Lake Mother’s Day in Branson, your mom can take center stage at the Champagne Sunday Brunch when it is celebrated from 11 am to 3 pm. You will get to enjoy live piano entertainment as you indulge in your favorites from breakfast, salads, carved meats, fruits and dessert. With so much to choose from there’s no better way for all moms to enjoy in this special day. Another great way to spend Mother’s day in Branson is to treat your mom at Mother’s Day Brunch at the Keeter Center at College of the Ozarks. The holiday will be celebrated in the rustic elegance of the Keeter Center, overlooking the beautiful College of the Ozarks campus. The Chef at the Marketplace will feature the beautiful sculpture, hand-cut fresh seasonal fruits, domestic and imported cheese, crudités, and made-to-order Caesar salads. At the Chef’s table, there’s an abundance of creative culinary delights where you will find original seafood creations, and carved award-winning College of the Ozarks smoked ham. Mother’s Day in Branson is a great time to give back to the most important woman in your life, so give her a fantastic day out on that special day.